Located right by the Dundas Conservation area in Dundas, Ontario sits a unique home crafted by the architectural firm, Office Ou. Built in 2015, “K-House” exhibits an ideal mix of comfort and sustainability. Office Ou is an architecture and landscape design firm based in Toronto lead by Nicolas Koff, Uros Novakovic, Sebastian Bartnicki, and Sophia Szagala. The firm's mission emphasizes collaboration, social impact, and environmental sustainability. They believe that a comfortable living environment shouldn’t need to be compromised just because a building is sustainable, and any good design should be sustainable by nature! The K-House is a great example of how eco-friendly practices can be seamlessly incorporated into domestic Canadian life. In fact, it’s the first electrically “net-zero” house in Hamilton, which means that it's still relatively uncommon across Ontario. To be deemed “Net-zero” means a home produces as much renewable energy on-site as it consumes. The K-House is also a straw house! Mind you, it’s nothing like those flimsy straw houses you'd likely picture or hear about in fairy-tales getting blown down. The 16” thick walls of this home are made up of efficient and breathable straw bale from local farms. The walls are covered in magboard (Magnesium oxide board), plaster, and “Shou-sugi ban”. The magboard acts as an air gap between the straw bale and plaster. 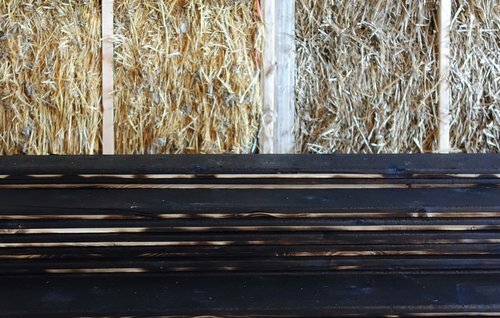 “Shou-sugi ban” is a Japanese siding technique using charred eastern white cedar to replace traditional vinyl siding on the home, which protects against rot and deterioration. These materials come together to create a perfectly insulated home while maximizing breathability. Aside from the walls, other sustainable techniques the K-House uses include the 36 solar panels installed on the roof for energy, genuine cross-ventilation, and super efficient fireplaces. Not to mention, rainwater from the surrounding property is managed and passed through a system of channels, dams, swales, and porous pavers. This process fills up the aquifer and renewal of the water reduces the pressure on the local drainage system and surrounding conservation area. The structure of the K-House is split level – part bungalow and part-multi story. 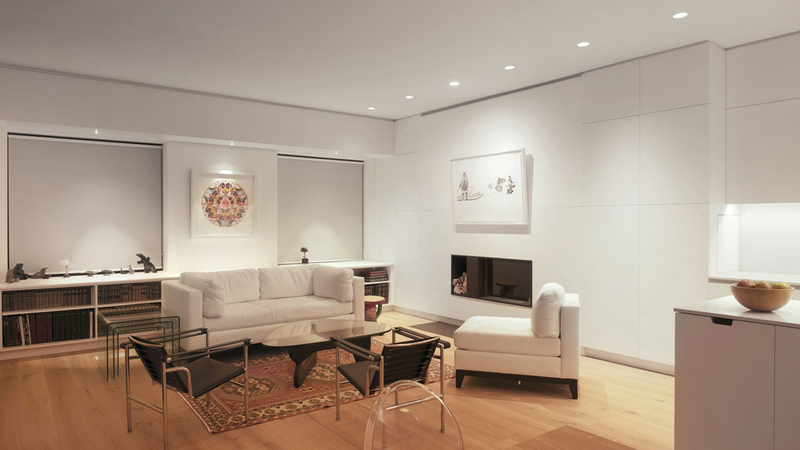 The interior appears fresh, open, and clean, making it look ultra-modern. The many windows (including some in the ceiling) maximize the natural light that shines in. Home/building designs (like the K-House) that promote natural light have actually been shown to boost mood, lower stress levels, and increase productivity. Personally, this is one of the main things I would look for in a home! Who doesn’t love the sun shining in? 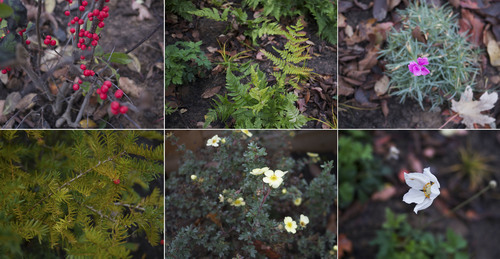 Especially during our Canadian winters, we could all use a little brightness. The exterior beauty of the K-House is also impressive. The surrounding landscape takes advantage of the fact that the home is located on the Dundas conservation area, almost making it feel like it’s situated IN the conservation area itself. Species that are native to the Dundas conservation area were considered when designing the landscape and garden. Some of these plants include ferns, river birches, pawpaws, and sedges. Nature is embraced across the property through the local flora and wildlife outside. The flat roof on the K-House even offers a habitat for birds, bees, and butterflies to visit, thanks to its pollinator garden. The K-House is innovative in its construction and shows that sustainability is possible while still living in comfort. This net-zero straw house promotes a greener way of living while looking modern and put-together. I think that it would be a dream to experience the beauty of Canada’s changing seasons from the K-House. The owners are lucky to own such a beautiful property! To learn more about the K-House or about Office Ou and their projects, visit Office Ou. All photos courtesy of Office Ou.